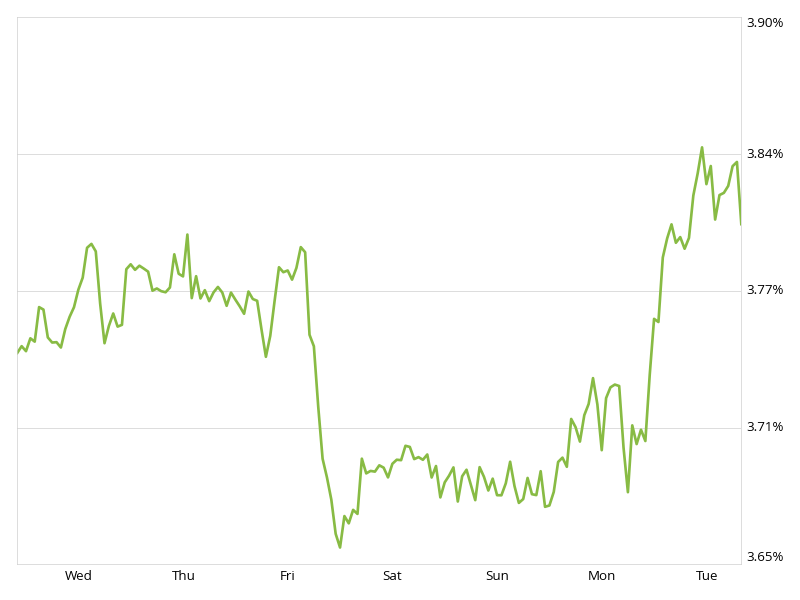 Mortgage rates for 30-year fixed loans rose this week, with the current rate borrowers were quoted on Zillow Mortgages at 3.82 percent, up 9 basis points from the same time last week. The 30-year fixed mortgage rate fell Friday, then hovered around 3.69 percent before rising and settling at 3.82 percent Tuesday morning. "Rates surged over the past week due to strong European data," said Erin Lantz, vice president of mortgages at Zillow. "Looking ahead, we expect mortgage rates to continue in their gradual march upward." Additionally, the 15-year fixed mortgage rate was 2.98 percent. For 5/1 ARMs, the rate was 2.78 percent.